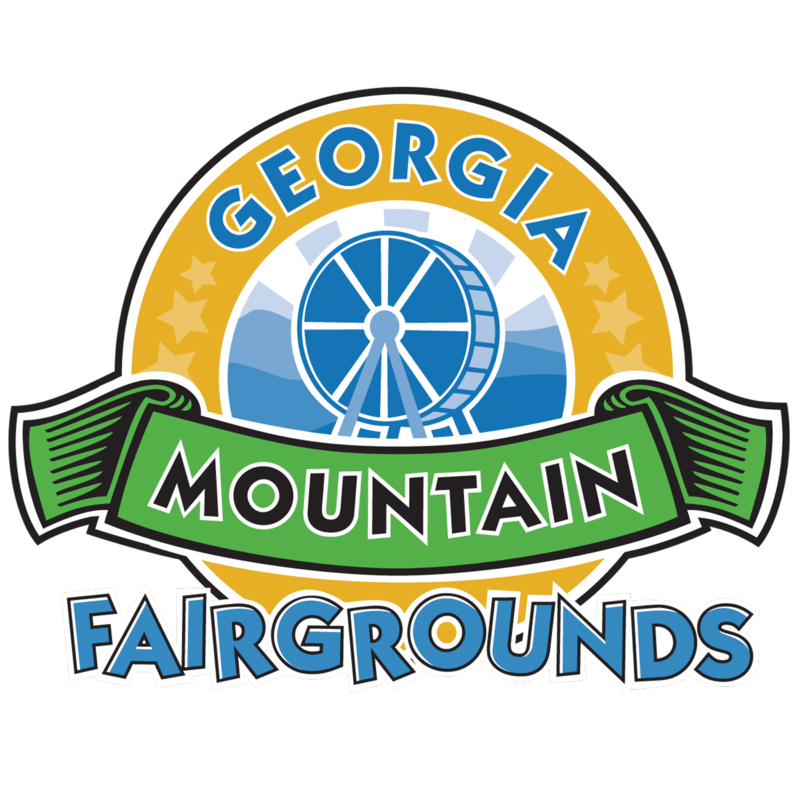 American owned and operated, Bald Mountain Camping Resort has been referred to as a “Little Slice of Heaven in the Mountains of Georgia!” It doesn’t matter if you are looking for a place to visit in the spring, summer or fall, you will always enjoy the beauty of the park. The mountains provide a patchwork of color in the background and, in the foreground, you will enjoy the lake and creeks that provide the setting for the well-maintained shaded or open and sunny level sites. Whatever your needs are, they will be fulfilled — full hook-up RV sites with cable TV, wireless internet, picnic tables and fire rings. New cabin rentals are also available. Big rigs are welcome! All with a range of activities for the entire family. 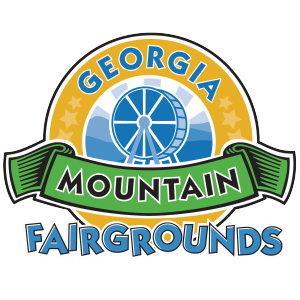 Located in Hiawassee, just two hours northeast of metro Atlanta, day trips can be made to Alpine Helen, the Appalachian Trail, Brasstown Bald (the highest peak in Georgia), the Georgia Mountain Fairgrounds, beautiful Lake Chatuge and the Cabbage Patch Kids factory known as Babyland. Enter as strangers leave as friends is the best way to describe what Creekwood Resort is all about. Owners Robert and Melissa look forward to sharing their little piece of Heaven with you just outside of Helen, Georgia, in the Northeast Georgia Blue Ridge Mountains. You can stay in a beautiful rental cabin or you can camp in the wonderful RV Park. Creekwood sits on 18 beautiful acres and is surrounded by the Chattahoochee National Forest. Cabins are located on a deadend, paved road, so you will never have any thru traffic. Your cabin is secluded and on private property, so you will not have to worry about being in the middle of a neighborhood or in a cluster of a bunch of rental cabins. Your cabin is private and overlooks the majestic Georgia Mountains. 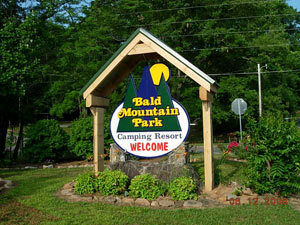 The RV Park is separate from the cabins with only 17 sites. All have full hook-up, cable and level concrete slabs that are at least 30x10. The park features views of the mountains in the winter and is covered with shady trees in the summer. Being just outside of Helen, with its Bavarian charm, makes Creekwood Resort a great getaway from the hustle and bustle. You can get here easily from Florida, North Carolina, South Carolina, Louisiana, Tennessee or even right down the road in Atlanta. Whether you are coming to fish, hike, horseback ride, tube the ‘Hooch or just sit back and relax, you will find everything you need for a great vacation. There is no fishing or swimming on the property, but both are only 3.8 miles away. Scattered throughout the fairgrounds are 189 camping and RV sites that offer modern conveniences such as water, electricity, telephone and cable service. There are 92 sites in the first area and 97 paved sites, open year-round, in the second area. 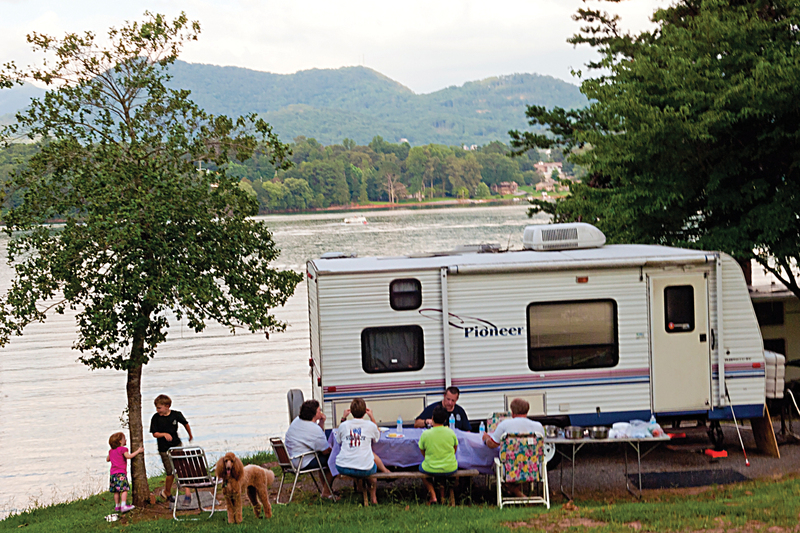 Most sites offer beautiful views of Lake Chatuge, and campers can take advantage of the fairgrounds’ many amenities, including two playgrounds, a boat ramp, two tennis courts, paved playing courts, shaded picnic tables and the Hamilton Rhododendron Gardens. Situated high in the Chattahoochee-Oconee National Forest and only 80 miles from Atlanta is the Lake Winfield Scott Recreation Area, where you can experience Georgia camping at its finest. The 18-acre lake was built by the Civilian Conservation Corps in the 1930s and offers ample opportunities to swim, fish, boat & hike. Sleep under the stars on one of the 31 beautiful campsites or rent a two-story cabin that accommodates up to 12 people. The Bavarian village of Helen is close by and Atlanta is less than two hours away. Groceries in Blairsville are only 16 miles away. If you’re looking for true beauty, check out Brasstown Bald Recreation Area – Georgia’s tallest mountain and an incredible 360-degree view. The Bald is only 23 miles from Lake Winfield Scott. Escape the hustle and bustle and visit the best in Georgia camping at Lake Winfield Scott! Deep within the Chattahoochee National Forest in Northeast Georgia lies an incredible camping and recreation opportunity. 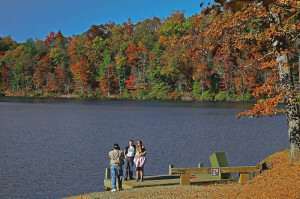 Morganton Point Recreation Area sits on the shores of Lake Blue Ridge, a 3,290-acre lake that boasts 60 miles of shoreline and ample outdoor activities. The day use area offers secluded swimming, hiking trails, picnicking, boating and fishing. Looking to spend the night? 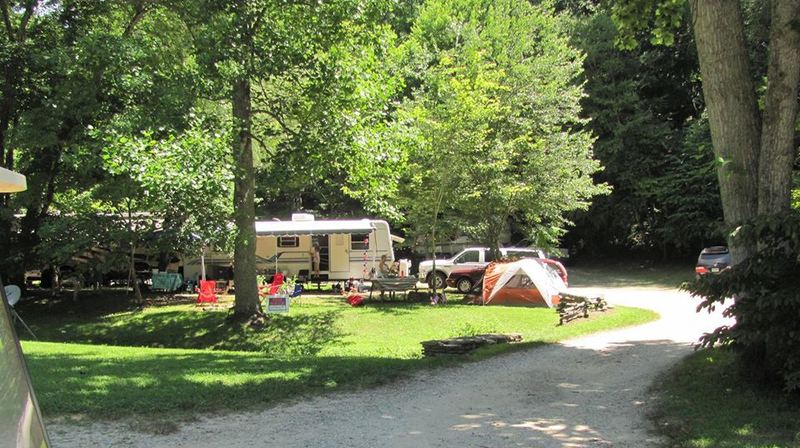 Morganton Point Campground provides over 40 campsites, including group camping and walk-in opportunities. The historic town of Blue Ridge is just a few miles away, complete with an amazing downtown full of restaurants, antique shops, boutiques and the Blue Ridge Scenic Railyway. For an amazing view, check out nearby Brasstown Bald Recreation Area – Georgia’s tallest mountain and an incredible 360 degree view. The Bald is only 42 miles from Morganton Point. Escape the hustle and bustle and visit the best in Georgia camping at Morganton Point Campground! Nacoochee Outdoor Adventures offers more than just the ZipNTime canopy tour — they also feature on-site accommodations in a Gypsy Vardo or Covered Wagon! With a group, a troop, a couple of friends or by yourself, Nacoochee Outdoor Adventures can provide you an unforgettable experience. And soon you’ll be able to stay in a treehouse that will provide the perfect extension to your outdoor adventure. Gypsy Vardo — This unique red wagon allows you to camp wherever you like! You can camp on the big lawn or go out into the woods. This great portable abode will reconnect you with nature, while giving you the perfect place to stay so you can enjoy Nacoochee Outdoor Adventures and all that Helen, Georgia, has to offer. Perfect for 1-2 people with one double bed inside. 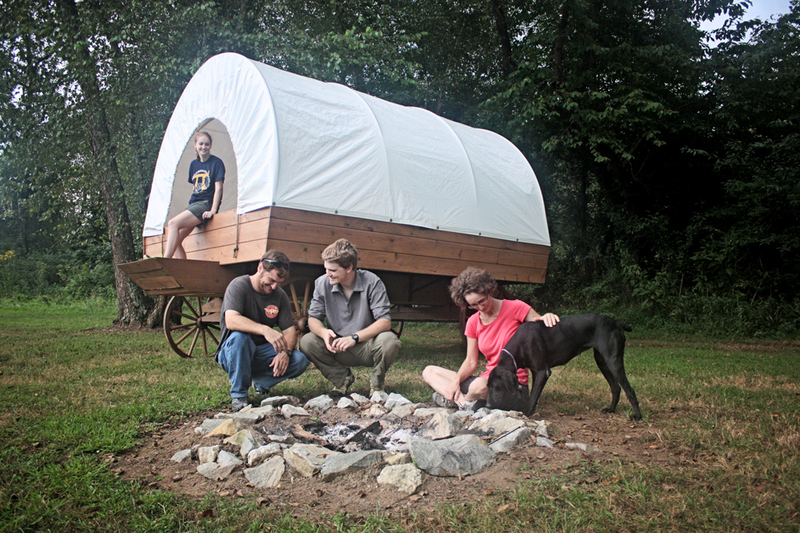 Covered Wagon — Go back to your pioneer roots! The covered wagon was the transportation of choice during the great American migration and you’ll find one on site. Room for 1-4 people with four twin-size bunk beds. Try something new & unique — stay at Nacoochee Outdoor Adventures! Experience “glamping” in a Northeast Georgia forest from the comfort of an authentic native-American teepee. You can do that a North Georgia Canopy Tours. And you’ll be surprised to see how glamorous camping can be! 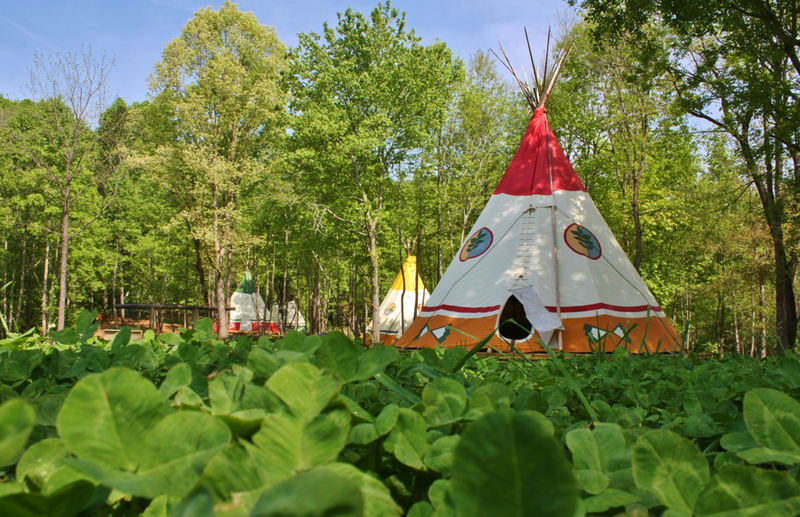 The teepees have the comforts of home, including heating and air conditioning, lighting and electrical outlets. 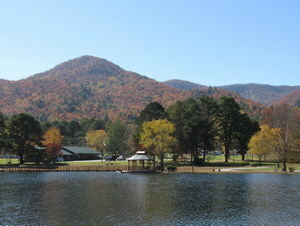 Campsites are named after the Seven Clans of the Cherokee Indians (Wolf Clan, Panther Clan, Wind Clan, Bear Clan, Buffalo Clan, Red (War) Paint Clan, and Bird Clan) – part of the rich history of north Georgia. Each teepee has been custom painted with authentic Cherokee symbols, themes and patterns relating to the specific clan camping area in which it is located. Teepees vary in size and number of people they can accommodate. For those who actually enjoy “roughing it,” North Georgia Canopy Tours also offers 15 rustic camping sites. All campers share the nearby Comfort Station with separate men and women facilities. Trackrock Campground & Cabins is a 300-acre paradise of meadows, hayfields and woodlands in the beautiful North Georgia Mountains. Located between Blairsville and Hiawassee, Trackrock is completely isolated from all other commercial developments. The property is bordered on three sides by the Chattahoochee National Forest. As a designated Appalachian Botanical Sanctuary, great care is taken to preserve the natural environment. Wildlife, flowers and flowering shrubs are abundant throughout the campground and surrounding area. With 95 level, shady, uncrowded campsites, Trackrock offers camping for everyone – tents, popups and RVs of every size. For RVs, there are both pull-thru and back-in sites that include water, 30- and 50-amp electricity, and sewer. There are also sites for tents and popups with water and electricity. All sites have picnic tables and fire rings. The modern bath houses are kept spotless and are equipped with hot showers. Trackrock often hosts Boy Scouts, Girl Scouts, group camping and church groups. For those who prefer not to camp, Trackrock offers cozy, comfortable one- and two-bedroom cabins. The cabins are fully furnished with full kitchens and baths, covered porches and all modern amenities including air conditioning and satellite TV. For fun, there is on-site horseback riding, summer horse camps, riding lessons, swimming, fishing, playgrounds, hiking trails, geocaching, hayrides, picnic pavilions, and more. Folks have been enjoying the relaxing and refreshing North Georgia Mountains at Trackrock for nearly 50 years. Why not join them? Get away from it all at Valley Springs Lodging. The meticulously maintained cabins and lodge suites are situated on 122 pristine acres in the Northeast Georgia Mountains, just outside Dillard. Valley Springs offers a lake, ponds, rippling creeks and several tranquil waterfalls. All rentals are fully furnished and include linens and towels. Valley Springs is perfect for waterfall weddings — you can arrange for exclusive use of our cabins, lodge, community house and more than 100 pristine acres to make your special event picture perfect. Valley Springs Lodging offers reasonably priced wedding packages, and allows you to choose the vendors you want to make your wedding exactly the way you want it! Wedding packages include exclusive use of the property for two days and two nights, allowing you more time to enjoy your wedding to its fullest! The lodge and cabins can accommodate up to 36 overnight guests. The community house has dining accommodations for up to 36 guests – perfect for your rehearsal dinner or to enjoy meals with your bridal party and overnight guests. Packages are also available for corporate meetings, family reunions, birthday parties, vowel renewals, group outings, retreats and more! Valley Springs is the perfect location for almost any occasion!